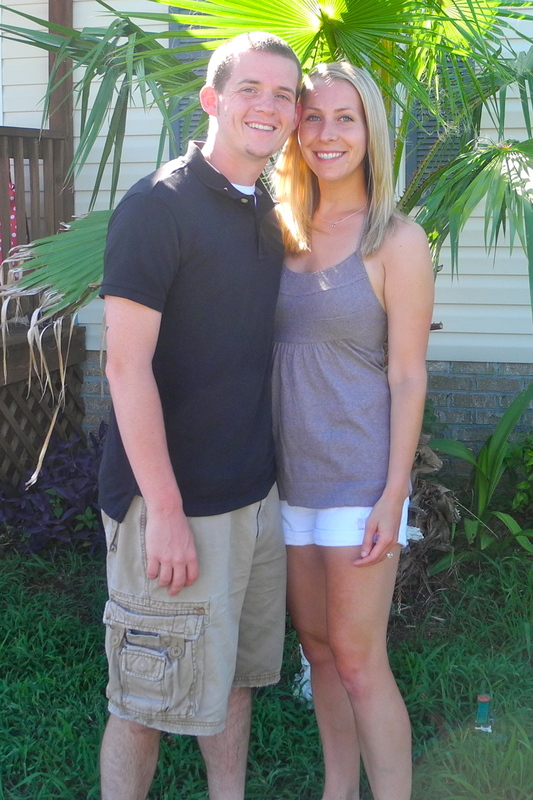 This past week Kevin and I had a mini-vacation with his family in Myrtle Beach, South Carolina! I call it a “mini” vacay because we were there from Wednesday night to Sunday. Since Kevin is taking off for our honeymoon to Costa Rica (!!!) this November, he has to save his vacation time. Two and a half days off was all he could spare right now, so we left on Wednesday afternoon and arrived that evening. Kevin’s family had been at their house since Saturday, including his parents, his younger brother, his older sister, her fiancé, and her fiancé’s son. We all had a great time together. We spent time at the beach, enjoyed dinner and a show at Medieval Times, did some grilling, walked around and rode rides at Broadway at the Beach, and Kevin and I had a special date night. But probably the best thing we did was on Friday – we had a special triathlon with Kevin’s sister Kara and her fiancé Brandon. I’m not a good swimmer and only a so-so biker, so this was MY kind of triathlon! It consisted of biking, geocaching, and running! We have been really into geocaching lately and were excited to try to find some while we were in Myrtle Beach. We looked up some nearby geocaches on the Internet and then set out on our bikes to find them! Since we were on a casual adventure we weren’t going fast at all. We just rode around leisurely to different places in the area and stopped to try to find the hidden geocaches. We ended up finding four different ones and we rode 9 miles total. It was so much fun! Kevin and I had slept in that morning by accident so we decided to do our run in the afternoon. We dressed for the geocaching adventure in our running clothes and planned to do a quick 4 miles once we were finished geocaching for the day. We locked up our bikes and helmets right by the beach and set off on our run. It was SO HOT and even though we had ridden pretty slow on our bikes we could feel it in our legs. We ran alongside the beach for 2 miles then turned around and ran back. When we made it back to our bikes we bought some ice cold water and cooled down for a few minutes, then biked the 4.5 miles back to his parents’ house. Once we were home I felt amazing and like I had accomplished so much! 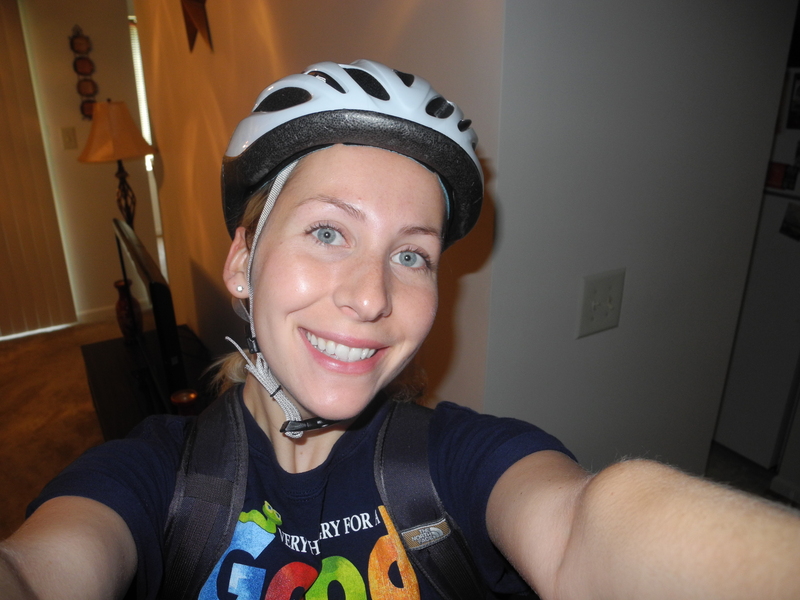 Bike – Geocache – Run – Bike … that’s a triathlon I could get used to! 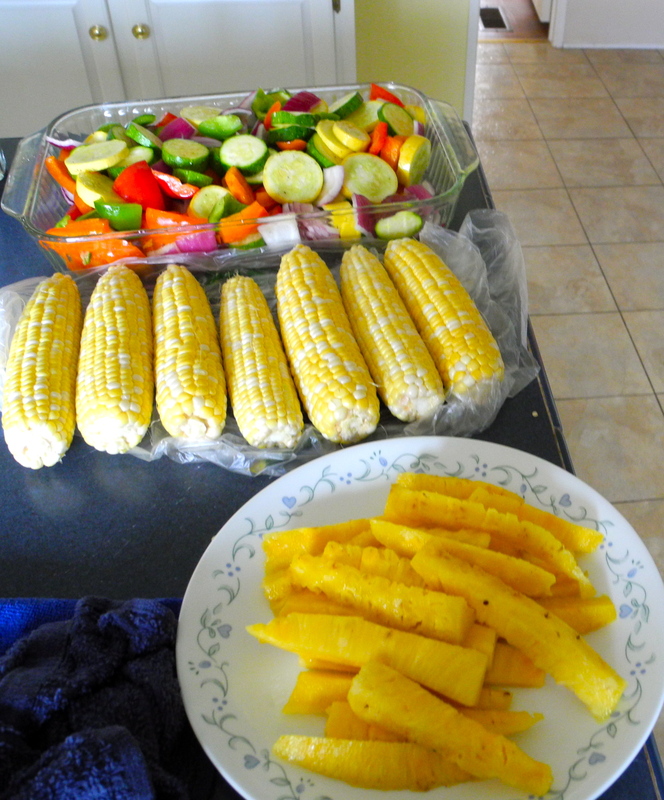 That night we grilled a feast for Kevin’s family, including lots of grilled veggies (zucchini, squash, red onion, bell peppers, and asparagus), corn on the cob, fresh pineapple, and burgers (black bean burgers for Kevin and me). It was the perfect ending to our day and everyone loved it. Here is the weekly rundown! It was a cutback week in our training plan so our ‘long run’ was only 8 miles. This worked out well since we were on vacation too. It was nice to rest a little bit. Ready for another week of training! I can’t believe it’s mid-July already. This summer is flying by! Hi everyone! Hope you all had a good weekend. Mine was super busy, like usual. I am looking forward to summer break more than ever. I need some serious down time! Friday was National Bike to Work Day. I only live about 2.25 miles from my school but I have always driven to work. My route to work is on a very busy road where drivers are not respectful to bikers or runners, so I was always afraid to bike to work. 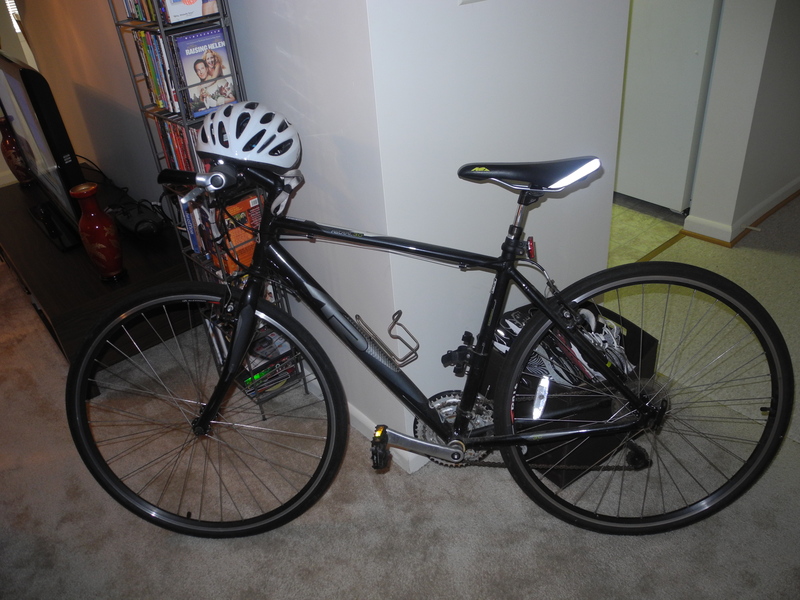 In honor of Bike to Work Day, I decided that Friday would be the day to try it! Since I was afraid to bike on the busy main road, I figured out another way to get to school. It was slightly longer and much hillier, but it took me the back way through nice, calm, neighborhoods. This made me feel much more comfortable. It took me about 13 minutes to go 2.3 miles on the bike. I was a little bit sweaty when I got there, but I had packed supplies and a change of clothes in my backpack so I was able to freshen up without a problem. After school I was feeling tired, but the ride home refreshed me and actually made me feel better. I really enjoyed biking to work and I think I may have to do it more often! Wow I had a pretty active week! Hoping to keep up with the Zumba and Spinning next week. Maybe some biking to work, too!